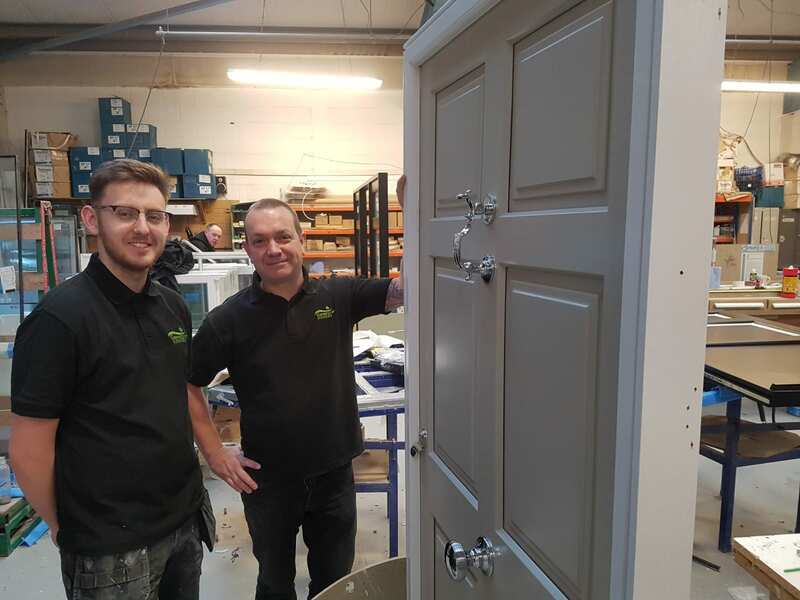 Alfreton based Gowercroft Joinery is being recognised by the British Woodworking Federation (BWF) as a champion of National Apprentice Week (March 4th – 8th) thanks to its successful apprentice programme. The specialist high end timber window and door manufacturer has seen many apprentices pass through its hands over the years, with some rising to senior positions with the company and even winning national awards. Simon Gayton, manager of the workshop floor at Gowercroft, started his career as an apprentice in 1990 and is now helping today’s apprentices, such as 20-year old Brad Shirley start their careers. Here they tell their stories. Progressing up through the company and taking on more responsibility for problem solving, Simon believes that his ability to quickly identify the source of problems and resolve them is due to the beginning of his career. “The hands-on nature of the apprenticeship means that you very quickly learn and develop a detailed knowledge of timber, which means that you can breakdown and understand a challenge, and importantly, solve it,” he adds. Simon is now responsible for managing a team of supervisors, 30 employees and is currently overseeing a machinery upgrade worth more than £350,000 at Gowercroft Joinery, a BWF member at the forefront of innovation within the joinery sector. Taking on an essential role within Gowercroft Joinery, Simon also supports the company’s current apprentices and maintains relationships with local schools and colleges to encourage the next generation into the woodworking sector. The company currently employs two apprentices and supports their development for three years in partnership with local colleges. This is just one story from a British Woodworking Federation (BWF) member sharing how an apprenticeship is a stepping stone into a long and successful career. Woodworking is an extremely diverse and talented sector with design, production and management roles, as well as office-based marketing and sales roles, so it’s unsurprising that the sector has one of the highest ratios of apprentices in the economy.